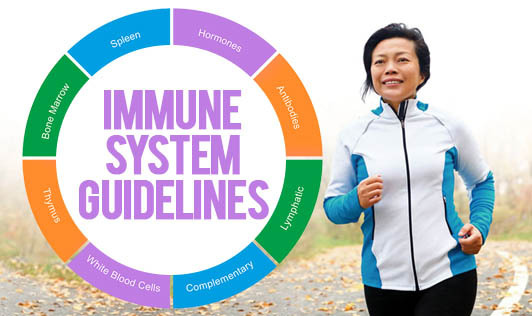 A strong, well-functioning immune system is the cornerstone of good health. Go Green - Eat plenty of fresh fruits & vegetables and reduce the intake of processed foods. Drink more water - Water helps your body to flush out wastes & combats dehydration. Lemon - is a natural immune booster. Add fresh lemon to your water, or tea. Exercise - is an immune system booster. Being outdoors and getting fresh air is also an immune system booster. So combine the two to have a huge natural immune system boost! Take fewer medications - The more you take antibiotics, the less your body will be able to defend itself. Say goodbye to refined sugar - Sugars can lower your immunity and have a significant impact on your energy levels. Caffeine - Robs your body of fluids, resulting in dehydration & also of essential vitamins & minerals. Lack of sleep - Lowers your immunity. Stress - Affects the immune system causing lower resistance to infections. Alcohol - Excessive alcohol intake deprives the body of valuable nutrients causing nutritional deficiencies.